Description: By now, most designers have seen a little white figurine (white man) appear in illustrative media all around the Web. This little white man is used to demonstrate ideas in a simple and cute way; adding instant life to any graphic task. Previously you could only find these white figurines through stock image libraries and you could only acquire them with fixed angles and poses, which provided little flexibility to the user. 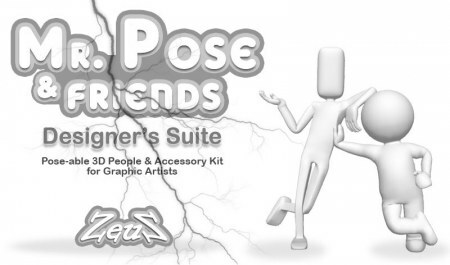 But what if you could pose and animate your own 3D figurine? What if you could adjust your own lighting and camera angle? 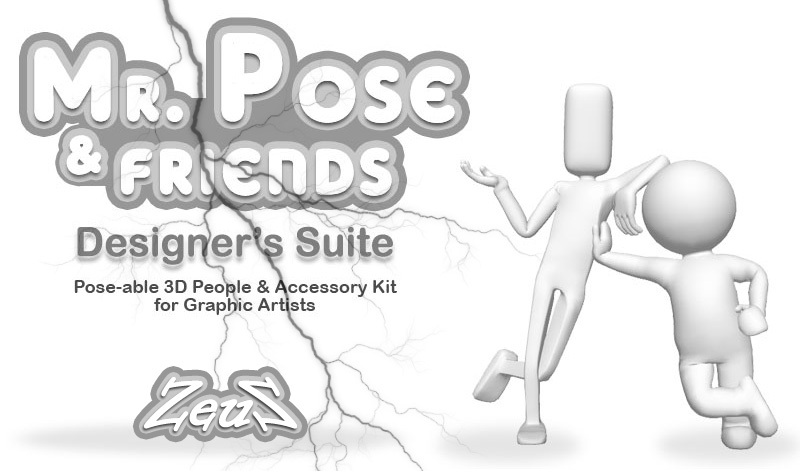 Well now you can, with Reallusion's new and versatile Mr. Pose Combo Pack!